If you prefer to shower, then you have loads to choose from in our showering collection. 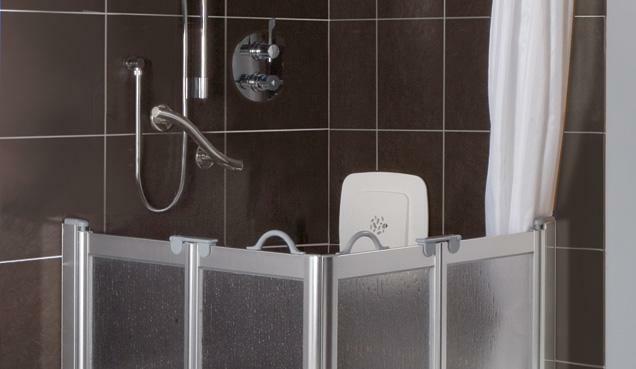 Whether you want to replace your bath with a shower for easier access, or you need complete accessibility for a wheelchair or assisted showering, there’s sure to be an option to suit your individual needs. We can tailor a showering area to your requirements and ensure that you can continue to enjoy the convenience and independence of showering for years to come. 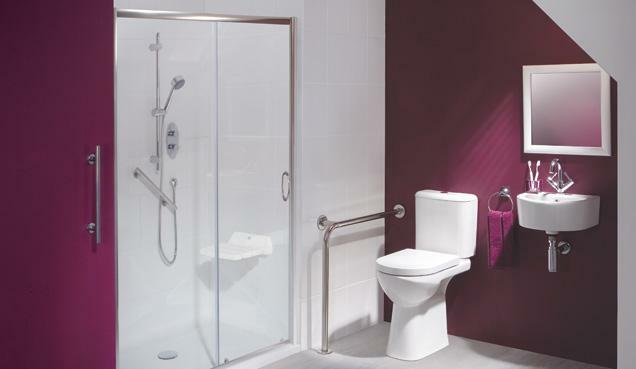 Our range of options includes quick and easy bath replacements, simple sliding door and walk-in enclosures, half height enclosures ideal for assisted showering, and wet rooms with either stepped up or level access. Are you looking to replace your bath with a shower cubicle? And at the same time create that “wow” factor with a classic wet-room look? Then this package is for you – no more climbing in and out of baths to take a shower! Our bathroom to shower package includes everything, from our initial home survey to a beautiful fully installed shower room – this package has it all. If you’re beginning to have difficulty getting in and out of the bath, our ‘Bath Out Shower In’ is a quick and simple way to replace your bath with a full shower cubicle. The system incorporates wall paneling, a low step shower tray and sliding door. The sturdy wall paneling is completely waterproof and saves the cost and inconvenience of re-tiling your showering area. You also have the choice of a panel with an integrated seat to make your showering much more comfortable. A simple and fashionable option for a showering area is a sliding door or a walk-in shower enclosure. Whether you want to replace your bath for easier access or install a new shower as an addition to your bathroom or en-suite, we’ve got the option for you. We have a range of sizes available in both styles and they can be fitted into a corner or a recess depending on your needs. 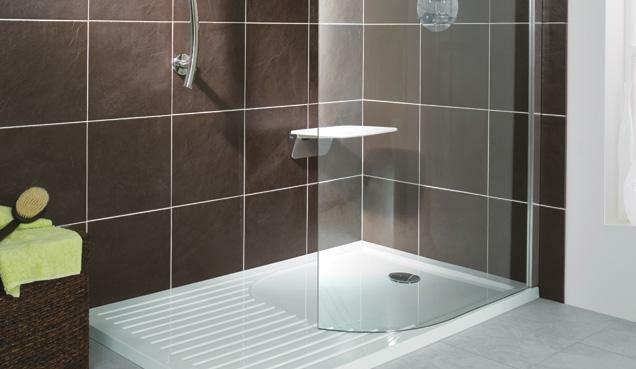 you can make your enclosure even more accessible by adding our contemporary shower seats and grab rails, whilst maintaining the designer look and feel of your bathroom. Our half height shower enclosures are the perfect choice if you need a completely accessible shower or require assistance whilst showering. We have a range of shower options on trays, wet rooms and screens so you are sure to find something that can be tailored to your needs. Our range includes recessed trays and wet rooms, which give you complete level access to the shower; or a tray that sits above the floor for ease of fitting. These can be used with our optional ramp to allow complete access for wheelchair users. Our screens are made using high impact plastic, which is shatterproof for your added safety and frosted for extra privacy. The trays are anti-slip and treated with Microban® antibacterial protection for your complete peace of mind.